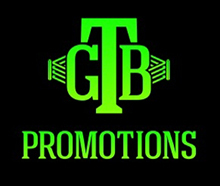 Minneapolis, MN (March 29, 2019) -- Minnesota boxer Caleb Truax is hungry for a world title shot and he can satisfy that craving with a win over fellow former champion Peter Quillin this April 13 at the Minneapolis Armory and live on FS1 and FOX Deportes. But first, the Osseo native will do his part to knock out a different kind of hunger. On Tuesday April 2, Truax will give back to his community as a guest food server for House of Charity, a cafeteria and shelter home mere blocks from the historic Armory in downtown Minneapolis. In doing so, the boxer will serve some real fighters who know what it's like to live on the streets. Truax is a former world super middleweight champion, but he hasn't forgotten his humble roots. On the contrary, the Twin Cities native has vivid childhood memories of being raised by a single mom with his twin sister and younger brother. "When we were growing up we didn't have a lot of money and we were on welfare and had to go to the food shelf once in a while to get some food," said Truax, who added that he knows what it's like to wonder where your next meal is coming from. Deb Moses, executive director of House of Charity, appreciates Truax's desire to pay it forward. "When high-profile community members like Truax pitch in for events like these, it reduces the stigma of hunger and homelessness," she said. "That is really the big thing. To show that we are all together, we are all people. We are all serving and caring for each other. It gives us visibility that we are serving our community; that people out here in Minneapolis are working hard to solve the problems we have." The House of Charity event comes as Truax launches his Cut No Corners campaign, which celebrates people like Truax, who worked hard and did things the right way on their journey to success. "I didn't have anything handed to me. I never had the luxury of taking the easy way -- or cutting corners -- and I appreciate when other people work hard and have to take the same path that I have taken to get where I am at in my career," Truax said. 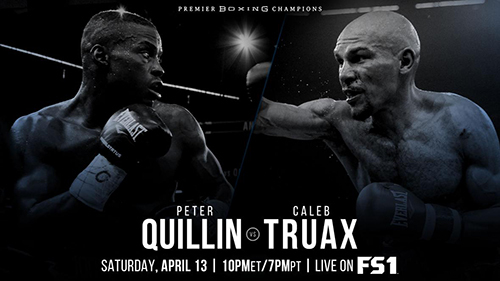 Another crack at boxing's biggest prize is at stake as Truax takes on Brooklyn's Peter Quillin (34-1-1) in a highly anticipated April 13 bout that will headline a nationally televised night of boxing at the historic Minneapolis Armory. Both boxers are former world champions. The Truax-Quillin showdown is an IBF eliminator fight, which means the winner will get another world title opportunity. Truax said he intends to get his title belt back, but he's not looking past Quillin. "He's a great fighter. He's one of the better fighters I've ever fought in my career, but I feel really confident going into the fight because it's a guy that I've sparred with before," Truax said. "I'm the type of fighter that if I've been in the ring with you, if I felt you out, it's to my advantage. He's a power puncher, he's kind of a counterpuncher, and I think that my style matches up really well with his. So I'm really confident going forward," Truax added. The Armory Foundation will be in Caleb's corner for the House of Charity initiative. The foundation is donating $100 for each of the 19 knockouts scored by Truax during a ring career that began in 2007.